During your access or use of the Website, you may be asked to voluntarily provide certain personal information, such as your name, email address, postal address, credit card number, telephone number, mobile phone number, fax number, gender, etc. It is always your choice whether to provide this personal information; however, without providing some of the requested information, certain features will not be accessible, and you will not be able to conduct transactions through the Website. For example, providing an email address is a prerequisite to placing an order through the Website. We may use your personal information to contact and correspond with you, to respond to your inquiries, to process sales transactions and payments, to facilitate and enhance your use of the Website, to email and alert you to our products and services and those of our related companies and other third parties, and for other purposes. For example, if you make a purchase through the Website, we may use your personal information collected during that transaction to market products and services to you that we think may interest you. We will treat such information as personal information when it is associated with other personal information provided by you. When such information is not associated with other personal information provided by you, this information will be treated as non-personally identifiable information. Like many other websites and applications, we may automatically collect certain non-personally identifiable information regarding those who access and/or use our Website. Such information may include, among other things, the Internet Protocol (“IP”) address of your computer, your device ID, the IP address of your Internet service provider, your zip code, the date and time you access the Website, the Internet address of a referring website, the operating system you are using, the sections or pages of the Website that you visit, and the images and content viewed. Some of the ways in which we may collect and use non-personally identifiable and aggregated information are further described below. As you use the Internet, a trail of electronic information is left at each website you visit. This information, sometimes referred to as “clickstream data,” can be collected and stored by a website’s server. For example, clickstream data can tell us the type of computer and browsing software you use and the address of the website from which you linked to the Website. We may collect and use clickstream data as a form of aggregate information to anonymously determine how much time visitors spend on each page of our Website, how visitors navigate throughout the Website and how we may tailor our Website to better meet the needs of visitors. This information often will be used to improve our Website and our services. Any collection or use of clickstream data will be anonymous and aggregated, and will not intentionally contain any personal information. We may engage third party vendors to use non-personally identifiable information in connection with their own information to deliver targeted advertising to you when you visit other websites. Cookies, described above, may be used in this process. For example, if you are searching for information on a particular product, our vendor may cause an advertisement to appear on other websites you view with information on that product. This form of advertising, sometimes called “behavioral advertising,” is based on anonymous information and not on any personal information. As a result, we and our vendor know your interests, but do not know who you are in connection with the delivery of any specific advertisements. We believe that such advertising is helpful because you will see advertisements that are relevant to your interests. However, if you would like to opt-out of these interest-based advertisements, please see the Opt-Out Process/Options and Additional Terms section below. Your non-personally identifiable information can be used by us for any lawful purpose and may be shared with any number of third parties, provided that such information does not specifically identify you. Such information may be permanently archived for future use. Some examples of how we may use non-personal information are for system administration purposes, analytics and to improve the Website. Other examples of how we may use such information are provided above, such as “Interest-Based Advertising.” We also may use location data, preferences, or other information received from the Website, including through your mobile device, to send you tailored marketing messages. Additionally, we may use non-personally identifiable information to engage in interactive, real-time discussions with users, which we or the users may initiate. We limit our employees’ access to personal information to those employees with a business reason for knowing such information, and those employees will use the information only for appropriate business reasons. All non-personal information, know-how, techniques, comments, suggestions, feedback, questions, ideas and content you submit to us using the Website shall be treated for all purposes as non-confidential and non-proprietary. You acknowledge and agree that by submitting any such content using this Website, you grant to us an unrestricted, irrevocable license to use, reproduce, display, perform, modify, transmit and distribute such content for any purpose, including, but not limited to, the development, manufacture, marketing, distribution and sale of products and services incorporating such content and information. If you receive an email from us, you may unsubscribe from future unsolicited emails through a link, typically at the bottom of the e-mail. If you have an account with us, you may opt-out of unsolicited communications by updating your account’s personal information settings. In addition, you may request that we delete your personal information by emailing your request to Privacy@cleanersupply.com and we will process your request within a reasonable time after receipt. Please note that we do not respond to or honor “do not track” (a/k/a DNT) signals or similar mechanisms transmitted by web browsers. However, if you do not want to receive targeted advertisements, then you can opt-out of being tracked by our vendors. For more information about how to opt-out of such tracking, please visit http://www.networkadvertising.org/choices and http://www.aboutads.info/choices/ or similar sites. Opting out of interest-based advertising does not mean that you no longer will see any advertisements; rather, you will still see advertisements that are general and not tailored to your specific interests and activities. You may request access to your personal information and information about our collection, use and disclosure of that information by contacting Privacy@cleanersupply.com. Subject to certain exceptions prescribed by law, you will be given reasonable access to your personal information, the ability to challenge the accuracy and completeness of the information and the ability to have it amended as we deem reasonably appropriate. You can help us maintain the accuracy of your information by notifying us of any changes to your personal information. The Website is tested and certified daily to pass the SiteLock security scan which certifies that the SSL encryption technology we employ is in place. To help address concerns about hacker access to confidential data, the “passed” SiteLock SECURE mark appears only when a web site meets the SiteLock secure standard. We will retain your personal information for as long as your account is active (as determined by us) and for a reasonable time thereafter. You may request that we deactivate your account at any time by contacting us at Privacy@cleanersupply.com. We may also retain your personal information for a longer period of time as needed to provide you services or as necessary to comply with our legal obligations, to resolve disputes, and to enforce our agreements. Even if we delete some or all of your personal information, we may continue to retain and use aggregate, anonymous data previously collected and/or anonymize and aggregate your personal information. Under Section 1798.83 of the California Civil Code, residents of California have the right to request from a business, with whom the California resident has an established business relationship, certain information with respect to the types of personal information the business shares with third parties for those third parties’ direct marketing purposes, and the identities of the third parties with whom the business has shared such information during the immediately preceding calendar year. To exercise your rights, you may make one request each year by emailing us at Privacy@cleanersupply.com with “Request for California Privacy Information” in the subject line and in the body of your message. Be sure to provide in the request sufficient information to properly identify you and/or the members of your family. Dry Cleaners for a Cleaner World. 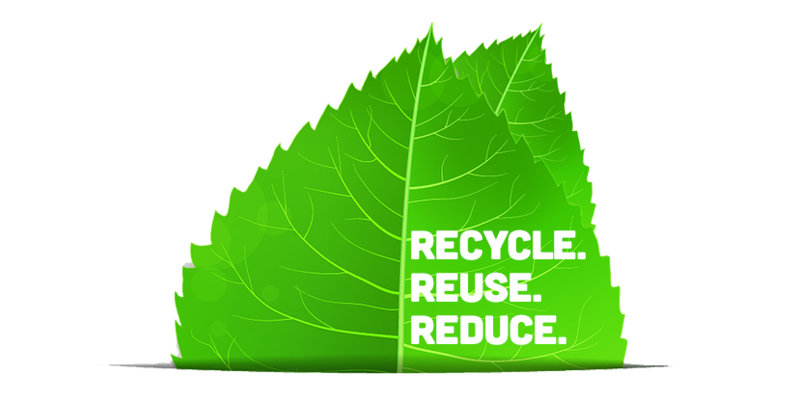 eco2go, along with partnered dry cleaners, share the goal to provide products that are earth friendly. And eco2go products do exactly that, by providing environmentally friendly products that are made from recycled materials or are reusable. eco2go dry cleaners not only care about your garments, but the environment too. 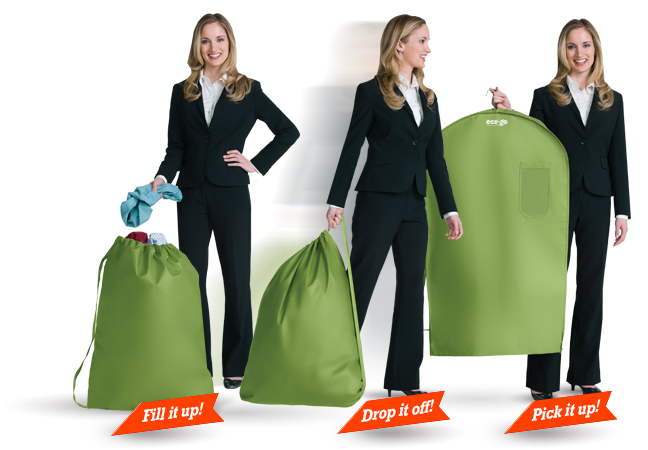 The eco2go 2-in-1 Reusable Garment Bag eliminates the use of disposable plastic bags. Today, billions of plastic bags end up in landfills. But if everyone does their part, we can help make a difference. The eco2go reusable garment bag does exactly that, by eliminating the need for single use plastic garment bags. Just another way that your dry cleaner shows they care. Our 2-in-1 Reusable Garment Bags have been used by some of the finest dry cleaners for over 10 years. We know you care about the environment, but you also care about your clothes. That’s why we developed the 2-in-1 Reusable Garment Bag. The bag features gusseted sides to give your clothes extra roomy space and is made of tough, tear-resistant materials that are very durable. You can find the eco2go bag at fine dry cleaners everywhere. 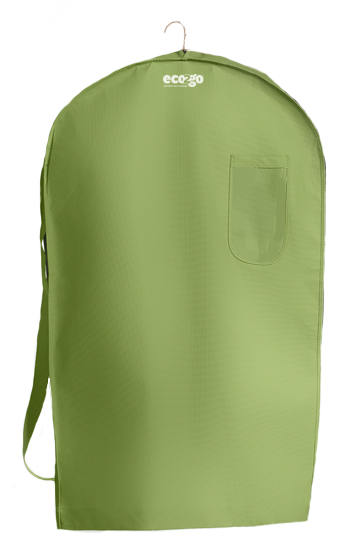 It’s a laundry bag, it’s a garment bag, it’s the eco2go 2-in-1 Reusable Garment Bag. Now dropping off and picking up your clothes at the dry cleaner couldn’t be easier. Ask your dry cleaner for details. eco2go Reusable Express Bag: The (eco) logical way to drop off your cleaning. 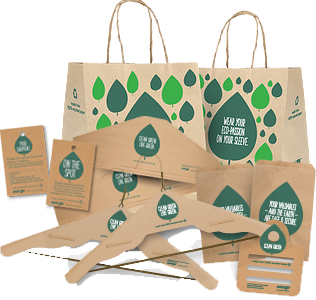 Our Reusable Express Bags makes dropping your clothes off at the dry cleaners simpler than ever. No need to tie your clothes up in a big ball or put them in a plastic bag. 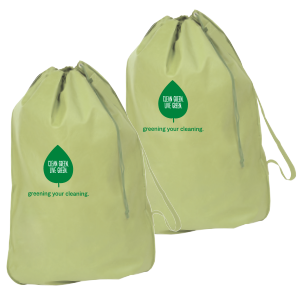 Just put your clothes in your eco2go Reusable Express Bag and drop them off at your dry cleaners. Simple and easy for you—and easy on the environment. Keeping your garments and the earth clean and green with eco2go 100% Recycled Paper Products. “The small changes tend to make the largest impact.” When it comes to the environment, this saying has never been more true. eco2go paper garment care products are made of 100% recycled paper and are as good with your garments as they are for the environment. eco2go complete line of garment care products, care for your clothes and the environment. We want to leave the world better than we found it, that’s why we strive to create products that are the best they can be in every way. Products that are easy to use and responsible. Products that don’t make you feel guilty – while also making a difference. eco2go is the result of committed dry cleaners working hard to find ways to be greener.